PENTHOUSE at the Mercado the LARGEST CONDO IN ROSEMARY BEACH! SOUTH 30A in Town Center, just steps to the beach and amidst all of the fabulous restaurants and shops. 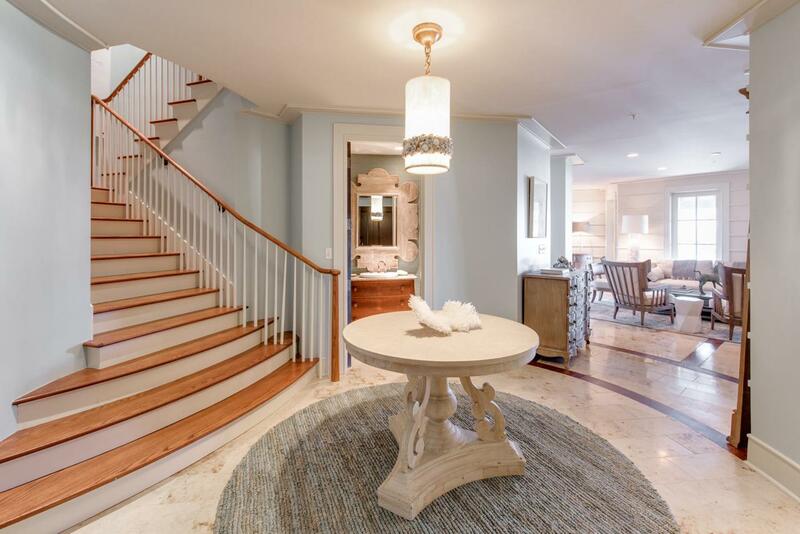 This gorgeous four bedroom, two story condo has everything you need to entertain. You are welcomed into a grand foyer with a spacious first floor that offers an open chef's kitchen and dining area, living room and a master bedroom with ensuite bath. The second floor includes another great master with ensuite bath and two additional bedrooms. With over 610 square feet of outdoor balcony space there is plenty of room to relax. A designated parking space is undercover behind the building. Information contained within this listing such as square footage, is deemed to be accurate but is not guaranteed. Buyer to verify.